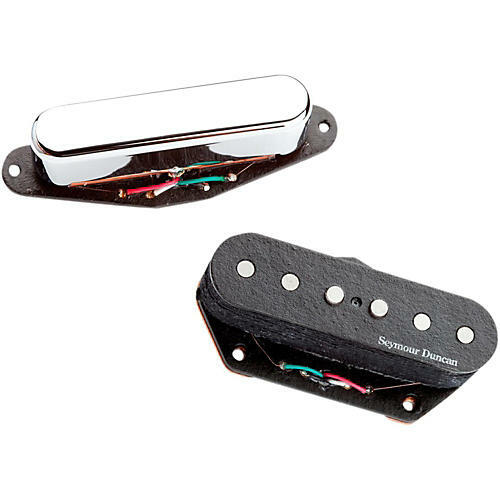 A high-quality pair of vintage-voiced hum-cancelling pickups. Seymour Duncan has not forgot about Tele players. Have you ever wished you could get the famous Tele snap but have problems with single coil hum? The Vintage Stack Tele Set fixes this problem by stacking two coils on top of each other, making a pickup that eliminates the hum, yet still looks just like a single coil. Traditional Tele tones are now dead silent, but retain the snap and cluck you need for country, rockabilly, and blues. Order this special set for your Tele today!